This topographic perspective view shows an area of Ventura County, California, including Simi Valley in the center of the image. The view is toward the East. At the lower left is the Santa Clara River Valley. 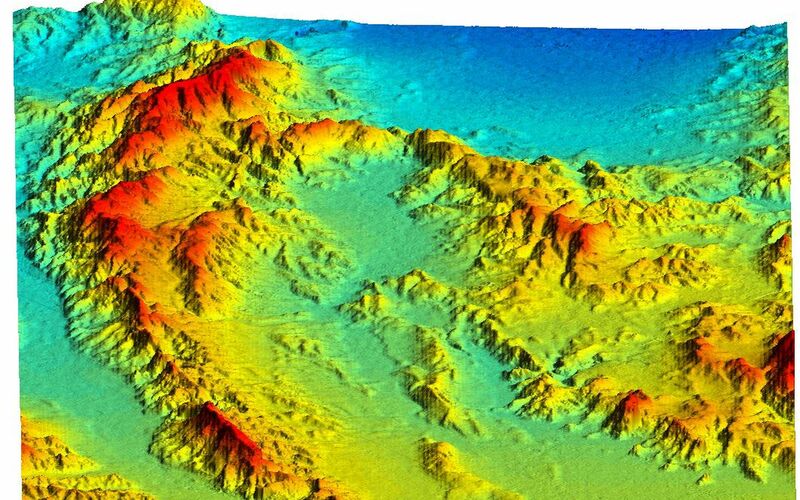 The mountains along the left of the image are Oak Ridge, known to be an active zone of seismic uplift. San Fernando Valley is smooth area at top. Hazards from earthquakes, floods and fires are intimately related to the topography in this area. 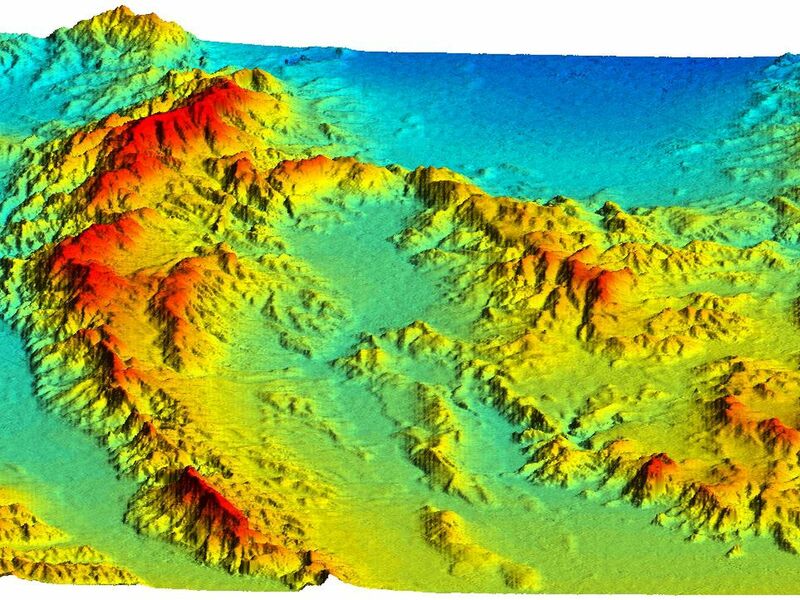 Topographic data and other remote sensing images provide valuable information for assessing and mitigating the natural hazards in regions such as Southern California. 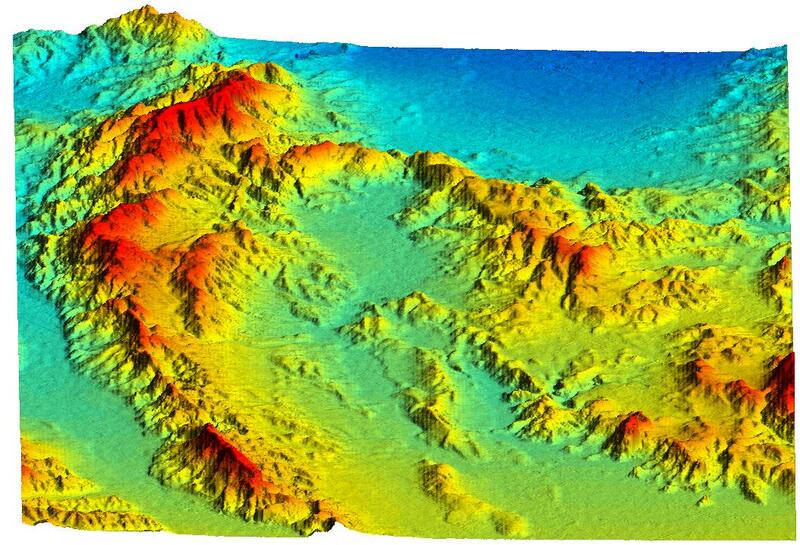 This shaded relief perspective view was generated using topographic data from the Shuttle Radar Topography Mission. A computer-generated artificial light source illuminates the elevation data to produce a pattern of light and shadows. Slopes facing the light appear bright, while those facing away are shaded. On flatter surfaces, the pattern of light and shadows can reveal subtle features in the terrain. 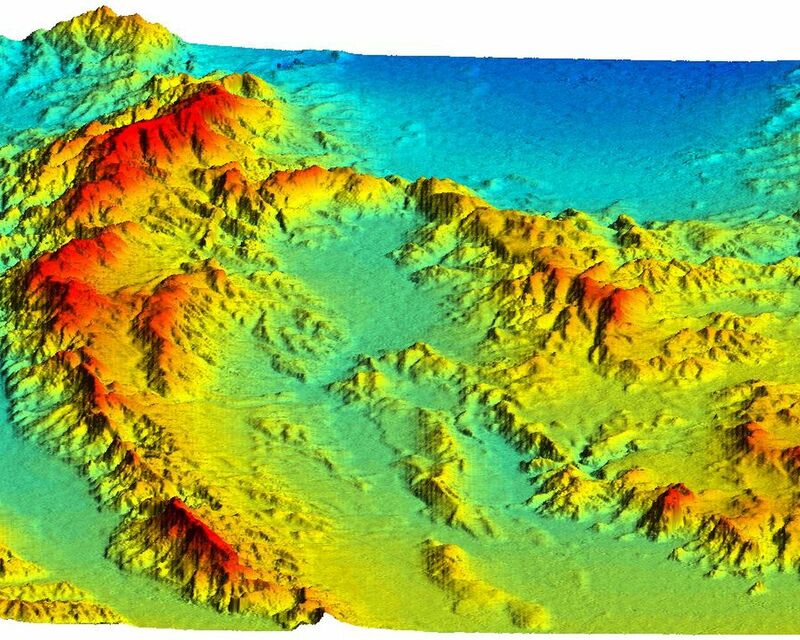 Colors show the elevation as measured by SRTM. Colors range from blue at the lowest elevations to red at the highest elevations. This image contains about 750 meters (2500 feet) of total relief. To emphasize subtle differences in topography, the relief is exaggerated by a factor of 5. The Shuttle Radar Topography Mission (SRTM), launched on February 11, 2000, uses the same radar instrument that comprised the Spaceborne Imaging Radar-C/X-Band Synthetic Aperture Radar (SIR-C/X-SAR) that flew twice on the Space Shuttle Endeavour in 1994. The mission is designed to collect three-dimensional measurements of the Earth's surface. To collect the 3-D data, engineers added a 60-meter-long (200-foot) mast, an additional C-band imaging antenna and improved tracking and navigation devices. The mission is a cooperative project between the National Aeronautics and Space Administration (NASA), the National Imagery and Mapping Agency (NIMA) and the German (DLR) and Italian (ASI) space agencies. It is managed by NASA's Jet Propulsion Laboratory, Pasadena, CA, for NASA's Earth Science Enterprise, Washington, DC. Location: 34.25 deg. North lat., 118.75 deg. West lon.